Congratulations to another 4 divers on completing their PADI Open Water course at the Outpost, Leigh. We completed the final 2 dives on our purpose built dive boat, Whakaari Express, under the guidance of Aura and Tim as their instructors. Thanks to Grant for buddying up with me for a sneaky dive on the surface interval. 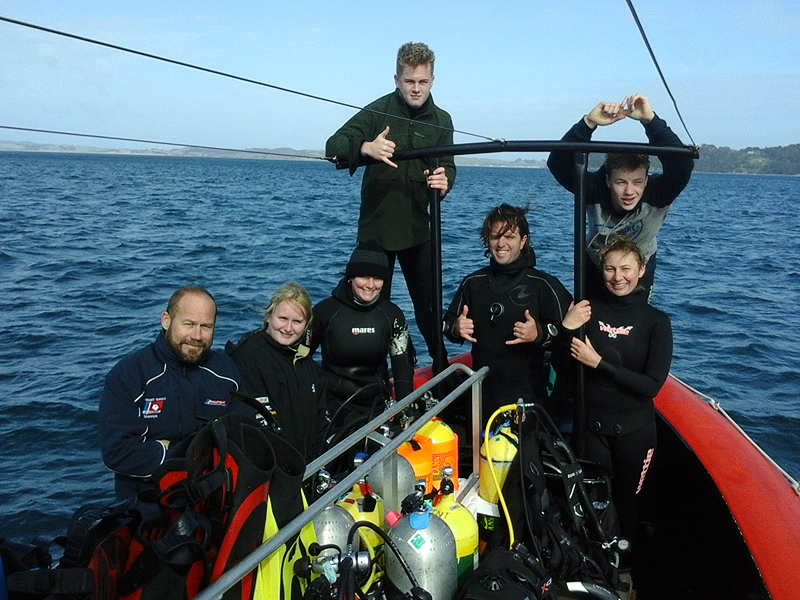 This entry was posted in Courses and tagged Learn to Dive, PADI Open Water Course. Bookmark the permalink.